Z inc has been labeled a poison in recent times as an ingredient in denture adhesives and anti-cold nasal sprays. Is this alarm appropriate? Absolutely! But some basic discussion of the ‘why for it’s use’ is required. Zinc is an essential mineral required for good health. 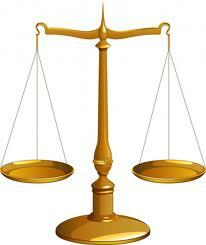 But like all nutrients, we need to take a balanced amount to stay within the range of its healthful benefits. That’s 9 mg/day for women and 11 mg/day for men with a maximum limit of 20 to 40 mg/day. Zinc plays a critical role in a long list of bio-chemical reactions in the body. Zinc is an anti-oxidant that promotes healing and prevents infection. For this reason it is commonly used in skin creams, hair shampoos, sun screens and diet supplements. It’s known to prevent halitosis, age related macular degeneration and gastroenteritis. But too much of a good thing can come back and bite you. Too much Zinc can cause ataxia (lack of muscle control), lethargy (feeling tired) and Copper Deficiency resulting in permanent nerve damage. Lack of Zinc causes growth retardation, delayed sexual maturation, increased infections and diarrhea. 800,000 children die every year due to low Zinc. All of the problems with Zinc have stemmed from improper labeling and excessive use. In the case of denture adhesives, the manufacturers are now removing Zinc in order to avoid the consequences of using too much. Unfortunately, Zinc was a benefit when used properly. The BOTTOM LINE: If You Have To Use Giant Globs Of Adhesive In Order To Make Your Dentures “Fit”, Then You Need To See Your Dentist For A New Set Or At Least A New Reline To Make Them Fit Better. The universal desire to be socially acceptable is often fraught with challenges. One of the most common obstacles to “closeness” is “BAD BREATH”! So what can you do to pass through this possible minefield of rejection? Consider using the following “Quick Cures”. Stay Hydrated: The most common cause of morning breath, headaches and muscle spasms is lack of adequate water in your diet. Eight-eight ounce glasses a day seems like a lot but if you even approach this goal, you’ll feel a lot better. Gargle with mouth wash: Listerine is alcohol based but that’s why it works! There are also excellent non-alcohol based mouthwashes that work well. The least expensive is 3% Hydrogen Peroxide cut in half with water. Clean your teeth, gum tissue and tongue: Start with flossing between the teeth (be sure to wrap the floss against each opposing tooth in the space your in and go up and down several times); an alternate to floss is the “Stimudent” triangular tooth picks or for tight spaces try the new “Ultradent Opalpix” which are thinner for tight spaces. The last thing you should do is brush your teeth, gum tissue and tongue surface with a good quality manual or better yet electric toothbrush using one of the whitening/desensitizing toothpastes. For example Crest’s “Pro-Health” or “Sensodyne”. Please note the order is important! By leaving the brushing with toothpaste as last, you should spit out but not rinse. The important beneficial ingredients in toothpaste need to soak in over at least a half hour. If you rinse afterward, all those benefits go down the drain! An Adjunct to all the above is to prevent your lips and nose passages from drying out. Lips appreciate any good quality lip balm. For the nostrils, you can place any unscented vaseline or skin lotion that will keep the mucous membranes moist. If the air passages are blocked, use any basic saline nasal spray before applying the lubricant. Keeping the mucous membranes healthy minimizes the ability for unwanted cold or flu viruses from getting into your system. Remember to floss or pic only the teeth you want to keep! And forget about the duct tape! 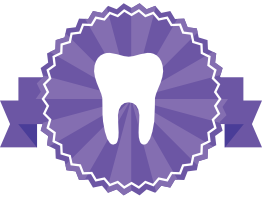 As a West Chester, PA Dentist, we are pleased to offer the best natural tooth colored restorations available. 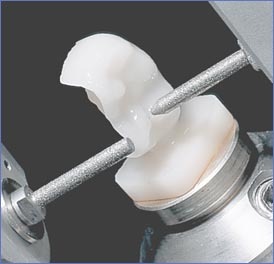 By using our Cerec 3D CAD-CAM acquisition (photo impression) and milling system, in addition to the Empress pure porcelain restorations we have placed for more than eight years, we now have the remarkable IPS e.Max Lithium Disilicate which is the next generation of crown and bridge material. The e.Max material is a monolithic glass ceramic block. With monolithic crowns we do not have to worry about the porcelain chipping or fracturing from the gold or zirconia substructure. In a recent study at New York University, e.Max proved to be three times more resistant to material failure than the next strongest zirconia layered crowns and five times stronger than porcelain over gold. Even more important, the microscopic particles are round which results in minimal wear against opposing teeth compared to layered porcelain which when worn or broken can be very abrasive. In additon, since there is no metal involved, Cerec restorations offer thermal protection to the remaining tooth structure and virtually eliminate that annoying line between the natural tooth and the new restoration be it a crown, onlay or veneer. We are truly excited to offer the Cerec 3D restorations as the best tooth-saving technology. Snap-On Smile Not A SNAP! “Snap-On Smile” is a patented product that is anything but a snap. 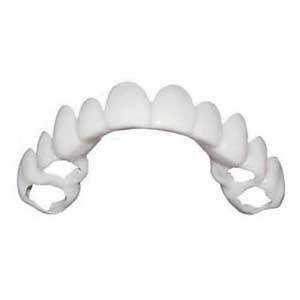 They are the best costume teeth available but like any artificial covering, they have specific limited applications and many significant prohibitions. There are also several brands of the same basic concept; a few are of good quality and many are only one time use costume teeth that are blatantly cheap in all aspects. Evaluate how much change can be made to badly worn or poorly formed teeth in order to achieve the best results toward normal function and satisfactry smile esthetics. 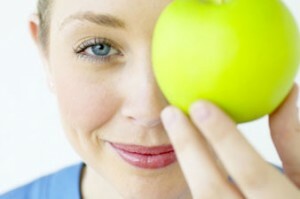 Evaluate the potential options for cosmetic improvements to the size, shape, color and position of your teeth. Temporarily replace missing teeth while waiting for a more durable result from implant supported crowns, conventional bridgework or a durable removable appliance. Evaluate the potential effect of cosmetic changes to the size and location of the gum tissue framing your teeth. Snap in is no guarantee that they’ll stay in during eating, sleeping or kissing. Potential to initiate or aggravate tooth decay or gum infection. There must be healthy intact teeth available to hold on to. Eating while appliance is in place is not easy or recommended. Cost that could be applied to final restoration. 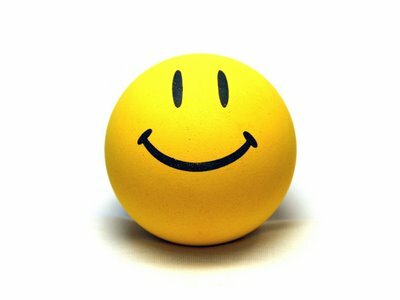 Under the right circumstances, the “Snap In” type smile fix can be very useful when properly used. STROKE and its devastating effects can strike at any age but its victims are not always aware of what’s happening. Neurologists have a high success rate of REVERSING THE EFFECTS IF stroke victims can be RECOGNIZED, DIAGNOSED AND TREATED WITHIN THREE HOURS. To recognize a stroke, remember the first four letters of the acronym, S,T,R,O and ask four simple questions. T – TALK a simple sentence coherently. O – stick OUT the tongue; deviation to one side indicates a stroke. If a person has trouble with any of these tasks, dial 911 and describe the symptoms to the dispatcher. Please share this life saving information.